Find free classifieds for Vehicles for sale or to buy in West Bengal. FREEADS in India offers you a platform to post free advertisements or classifieds for Vehicles, West Bengal. FREEADS in India helps you search, find, buy, sell, rent or hire in various categories like apartments, goods for sale, local services, cars , jobs and many more in West Bengal. Shown below are ads available in Vehicles, West Bengal. You can use search box above to refine your search. 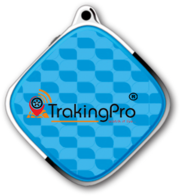 Buy your GPS tracker from Trakingpro.com online and save up to 70% on GPS tracker device, GPS tracker can help you to track your car live, so get here the more quotes about the tracker devices and their benefit https://www.trakingpro.com/AIS_140.php. Commercial vehicle insurance covers used cars for commercial purposes, as well as van trucks, food trucks, utilities and more. Whether it's carrying goods, using the vehicle to service or employees managing a vehicle, a commercial car policy may be required. For more information visit our site. https://www. Car Care Service in New Alipore We are offering a complete car care Treatment Like Interior washing, vacuuming and polishing and Exterior machine Polish in whole painted Body.3M/Motomax/Formula 1 product will use in whole process.Treatment will be done at your Place. We also provides the best Deep Cleaning, sofa cleaning, mattress cleaning, Carpet cleaning service in Kolkata. TIL Limited is offering Jaw and Cone Crusher for the road construction industries in India. These Cone Crusher machines have got advance screening system etc. TIL Limited is associated with Astec Inc which is one of the best manufacturer of Jaw and Cone Crusher around the world. TIL Limited is having more than 7 decades of experience in developing and distributing cranes and material handling solutions in India. Search for buy used cars or old cars in India by city, price, brand and models. Ebizzcar.com is a the leading and fastest growing car information company in India – bringing you the best online buy or sell deals on second hand cars, used car info, tips and honest advice. Here is your one stop online resource for new and used vehicles across Kolkata and other major cities. Ebizzcar is the leading and fastest growing car dealer and travel agency based at Kolkata. we provide Luxury tour car on rent for family travel and journey.Our car rental service network covers kolkata and other major cities in India. Ebizz car rental agency will be proud to guide you & help you by providing cheap car rental services to give you the best quality services. EyesOnWheel is a GPS vehicle tracker developed by Spearhead Technoware Solutions Pvt Ltd. This affordable solution aims to reduce the complexities that are faced by the logistics companies or individual business units when they transfer loads of items to a number of locations with a range of vehicles at a time. 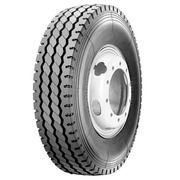 WGR 23 Windpower tyre presents WGR 23 Truck/Bus radial tyre. Features • Regroovable Tyre • Highway & On/Off road application • Steer wheel application • 10.00 R20 Size • 18 Ply Rating (PR) • 16 NSD • Weight handling capacity above 30T GVW Load About Us Windpower Tyre is part of China National Chemical Corporation ( ChemChina ) a Chinese state government owned company and world’s fifth largest tyre manufacturer. 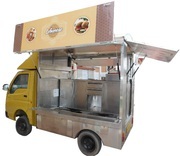 Shiva Kitchen manufactures mobile food truck with fully concealed electrical facility with Japanese technology. Equipment includes as per your requirement and selection of food menu which you going to serve. We can manufacture and import as per your requirement. Food trucks are generally equipped with the following items: Deep Freezer, Refrigerator, Induction Oven, Coffee Vending Machine, Micro Oven, Bain Marie and ample Storage Facilities with cash box. Ebizz Car provides Car Rental service with a difference. If you want quality and super-exclusivity in your car or want to experience the best of all traveling experiences, then Ebizz Car Rentals can satisfy all your desires. We provide all type of car including Tata sumo Gold, TataIndica, Ferrari, Maruti Esteem, Honda City, Toyota Corolla, Toyota Camry, Toyota Innova, Maruti Esteem and much more according to your budget. Buying cars the desire of every person but often people are not well aware of this part. There are thousands of options but it becomes difficult to take the right decision. Ebizzcar.com is a leading automotive portal of India offers services for search a wide range of cheap used cars, used vehicles, second hand cars, pre-owned car, cheap affordable cars and more. Ebizzcar- Provide a complete online lead solution to car dealers and offer buyers an easy way to search cheap new or used cars. Here is your one stop online resource for new and used vehicles across Kolkata and other major cities. We also offer all type of old private car free information in kolkata and having all car price details. Ebizzcar.com Provide a complete online lead solution to car information and offer buyers an easy way to search cheap new or used cars from an exclusive list of local automotive dealers.We are well known for providing quality vehicles at best economical prices. You will find all reliable brands like, Toyota, Nissan, Mitsubishi, Mazda, Tata, Maruti, Chevrolet and many more. Looking for car rentals in Kolkata? Visit www.ebizzcar.com. You do not need to go anywhere because you have reached at a right platform where you can easily reserve a car or vehicle of your choice on rent. We are providing cars or other vehicles on rent for travel and other purpose in almost all the major towns of Kolkata. 2012 reg TATA HYWA in running condition. 2008 mdl TATA HYWA 2516 TC in running condition. TATA safari 2009 MDL in very good condition running just 60000 KM, Top model with LCD. TATA INDIGO MANZA in good condition on sale, running only 80000 km. Ebizzcar is of the leading and fastest growing Car Rental Company and Travel Agency based at Kolkata. we provide Luxury tour Car on Rent for family travel and journey. Online car booking for tour, holiday and vacations in North and South India. We provide a professional low cost car rental service for travel or tourism in India and are dedicated to providing you with the best deal we can find. 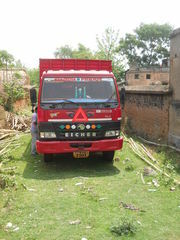 I want to sell my 12 Tyre EICHER 35.31 Truck, made on October 2011. It is very well condition and good oil services and 12 tyres are new.If any body interested contact me on this 9434173900 no Immediately..
Tata 2515 - 2006 AL 2516 hino - 2007. Buying cars the aspiration of every person but often people are not well conscious of this part. There are thousands of options but it becomes difficult to take the right decision. All the buyers need to do is to get all the appropriate information related to the used cars. There are many sources of information for obtaining such information. Ebizzcar.com Provide a complete online lead solution to car information and offer buyers an easy way to search cheap new or used cars from an exclusive list of local automotive dealers. we provide the latest information and news on the recent upcoming new extreme cars like Honda, Tata Indica, Tata sumo Gold, Ferrari, Maruti Esteem, Honda City, Toyota Corolla, Toyota Camry, Toyota Innova , Ford Icon and much more. Need a Car rental services in Kolkata? No worry, Ebizz Car is just the thing for you! You do not need to go anywhere because you have reached at a right platform where you can easily reserve a car or vehicle of your choice on rent. We offers you the option to book your car rental service online. We are providing cars or other vehicles on rent for travel and other purpose in almost all the major towns of Kolkata. India ads for Vehicles, West Bengal, Vehicles free ads West Bengal, Vehicles for sale West Bengal, Vehicles to buy in West Bengal. This page is a classified ads listing for Vehicles West Bengal. This listing includes classifieds for sale and to buy in West Bengal. If you posted an advertisement on Vehicles, West Bengal before please use Edit my ads button to change or cancel your ad. Vehicles West Bengal ads West Bengal, Vehicles classifieds West Bengal, Vehicles free ads West Bengal, ads for sale West Bengal, ads to buy West Bengal, FREEADS in India. Find here ads for sale, to buy and rent in West Bengal. Goods for sale in West Bengal, vehicles for sale in West Bengal, West Bengal real estate for sale, West Bengal property for sale, property for rent in West Bengal, business ads in West Bengal, West Bengal business classifieds, services in West Bengal, West Bengal services ads, jobs in West Bengal, pets for sale in West Bengal, West Bengal dating, West Bengal cars for sale.